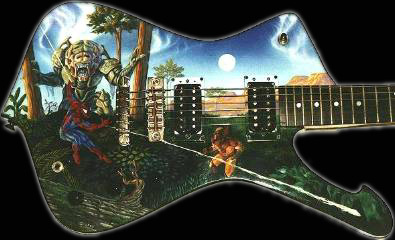 Here's a cool paint job on a late 70's Iceman IC-50 model. Awesome! I can't recall who sent this file to me, but the airbrush on this Iceman is remarkable! 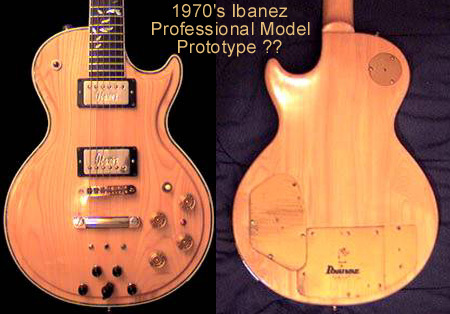 Mid 1970's Ibanez Professional Model, LP style body. This has been routed and modified with a bunch of switches and even LED lights. 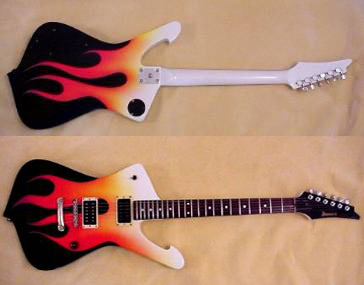 It was sold on ebay in March of 2000. Factory prototype? Owner modified? If you know anything about it, email me. 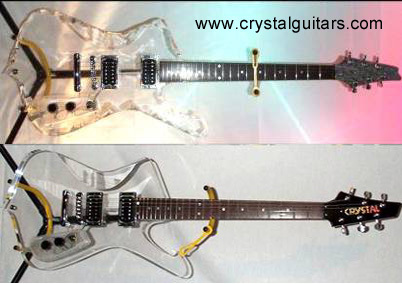 Crystal Guitars is a company in Detroit that is now making a clear-bodied Iceman model. 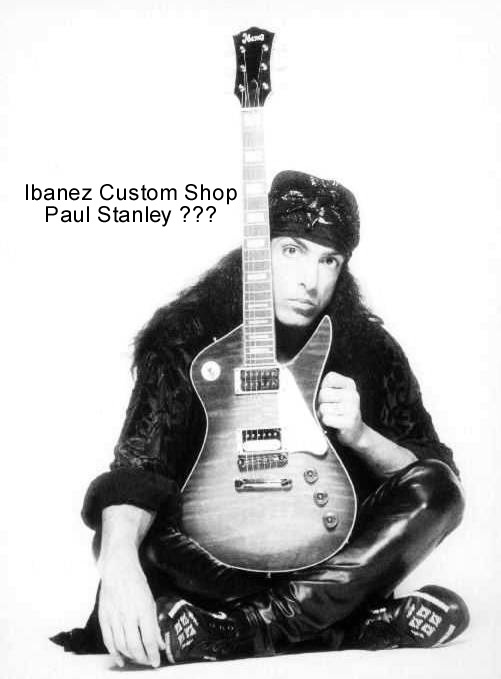 Check the site at www.crystalguitars.com for more info.